After ticking off my obligations this week, I finally found some time for fiber arts. I finished crocheting a millennial pink scarf for my mom, and I also completed the prism scarf which I have been knitting for the past two months. 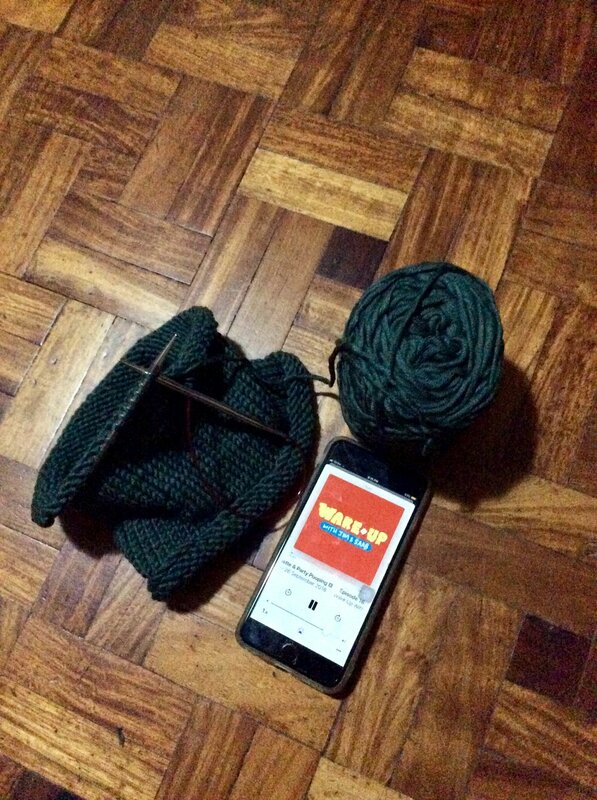 So I continued knitting, and this time, I binged on some episodes of one of my favorite podcasts, Wake Up with Jim and Saab. While laughing along to the podcast, I knitted this beanie in deep sea. The ball of yarn from The Attic Yarn and Craftery could make two knitted beanies, so I saved some for later and began knitting another one. This time, I chose a bright pink yarn from Dreams Yarnshoppe. I carry on with life because I know what makes me happy. I like making things, so I will continue doing so. I intend to hustle and balance that with my handmade lifestyle. That way, I will always know what truly matters, and I will also have a scarf or beanie to remind me of how strong I really am.